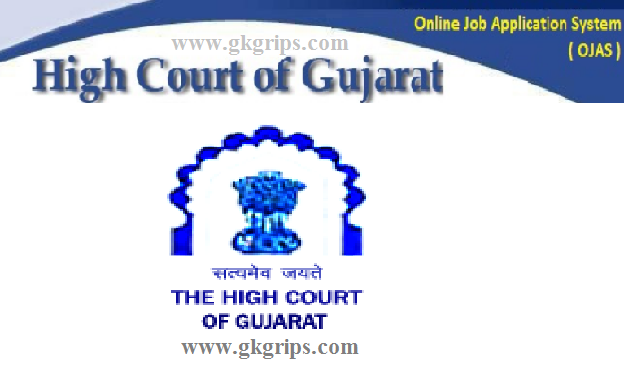 The High Court of Gujarat invites ‘On-line Recruitment Applications’, from eligible candidates for filling up 46 Posts of Deputy Section Officer, in the Pay Matrix of Rs39,900-Rs1,26,600 (Pre-revised Pay Scale of Rs9300-Rs34800/- with Grade Pay of Rs4400/-), on the establishment of the High Court of Gujarat, by Direct Recruitment. (a) Graduate from recognized University. submitting Online Application i.e. on 30/09/2017. less, in the upper age limit. due to any technical reasons, follow the Instructions thereat. one Copy of the 'Challan' and return the other Copy to the Candidate. Challan till the conclusion of the Recruitment Process. (h) Fees paid by any other mode, will NOT be accepted. any subsequent Recruitment Process, under any circumstances. be called for Main Written Examination. depending upon the number of Candidates applying. Stage i.e. Main Written Examination.